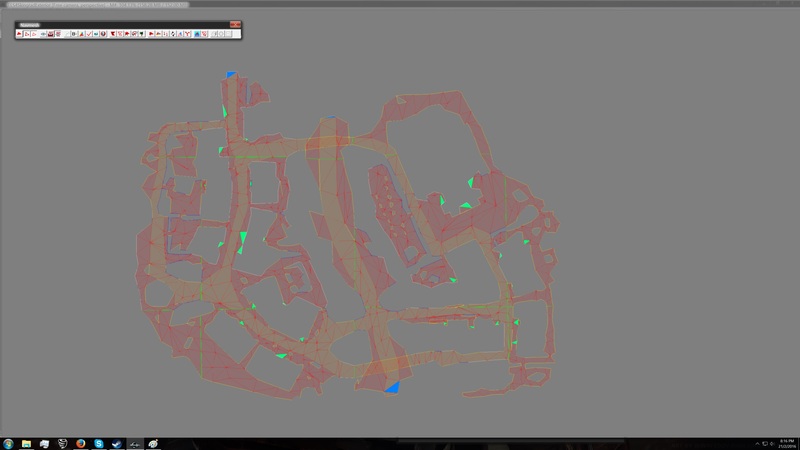 Navmeshing jobs are separated into various regions of the map and exist as either "city work" or "overworld work" All navmesh jobs require understanding of the navmesh tools as well as ability to mark tiles and connect cells. City work involves the navmeshing of the assigned city's world space and interiors, such as houses, castles, and shops. A city's world space requires preferred pathing along roads and other marked tiles, such as water and edge, as necessary. Overworld work involves the navmeshing of the Cyrodiil overworld. Due to the large size of the map, jobs are given by various regions. If there are any areas available I would like to assist with navmeshing. I seen that it still needed work if you guys will have me I think I can do a pretty good job, just some personal experience with it but i think I can help. I can start on it Nov 2nd, just waiting to fly back to my pc. Anyone who is navmeshing or going to, please reply here. Several people already expressed their wish to navmesh in PM's to me, and I always ask them to coordinate with each other, but I don't have any idea what is being done atm. Would really like you all to cooperate, maybe by just posting claims and updates here. EGKnight and I have been talking in a PM. Edit: I've done up a map with cell references to try and add some organisation. The borders are arbitrary just to divide up work. From what EGKnight has said, if you claim a city you must do all interiors as well. I'll track a list of assignments here too. Details below have been hidden as EGKnight has put it in the top post. Oh, I don't have any info on how to get the current master to work with. Could you provide me details via PM zilav? I'd like to have a more accurate map than that. One with actual cell references, i might look at doing it as it would make it easier for people to coordinate. They could fill the navmeshes up to the cell perimeters and then someone could easily go through and stitch the border cell navmeshes together. 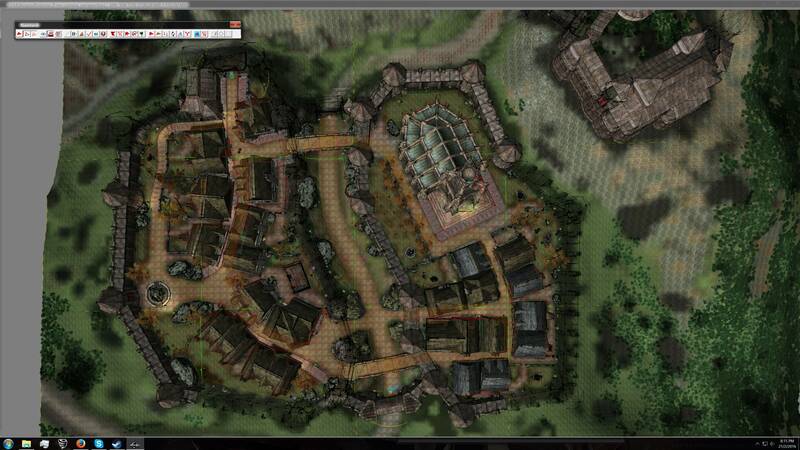 Just a heads up, the whole town of Bruma, including the interiors is complete, I did it a while back. Awesome, just tracked it. So that means the Bruma world space is done? But someone still needs to finish off the tes4tamriel sourrounding area still right? 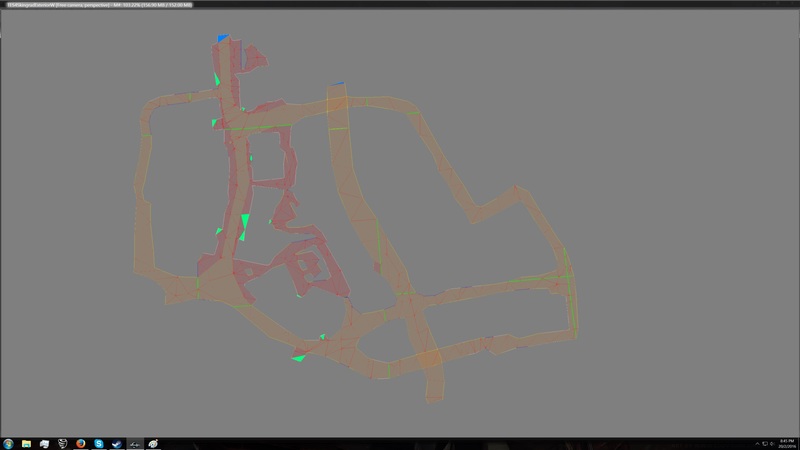 Looks like some good progress is being made, what I think needs to be mentioned it how each grid on the map correlates to a cell in-game? I'd also like to help. I need to make a stripped Skyrim.esm first though. Also, some other towns have been done (Not by me) I'll link them when I find them. Skingrad and Chorrol, I think it might only be interiors? Not sure. When you move mouse over the current coordinate and cells are displayed in the status bar. Pan the map with mouse. Right clicking will bring popup menu with the current cells for that point and allows to position on them in TES4Edit. Adjust zoom to make the map bigger, Grid Opacity allows to overlay exterior blocks and subblocks, "Draw cells for ingame debugging" will overlay the cells grid. You can even save that image using Worldspace menu if needed. 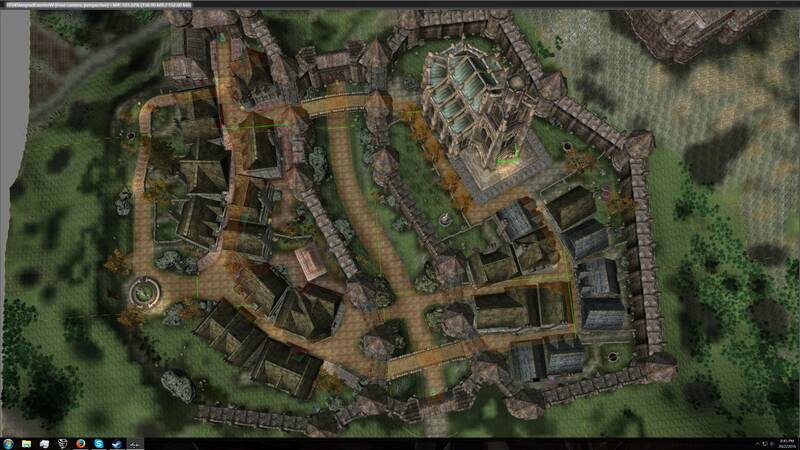 Overlay menu allows you too draw regions, weathers, references of specific base objects, map markers. Oh and it works for any game: Oblivion, Fallout 3, New Vegas, Skyrim, Fallout 4. @Anvil Citizen, yazza2014. That map I uploaded was taken from UESPs Oblivion interactive map (http://www.uesp.net/maps/obmap/obmap.shtml), there are cell coords on it if you zoom in, every tenth cell is marked. @yazza2014 I've linked in your information, thanks! @Zilav, is there a way we can collect all the navmesh .esps currently? It'd be cool to have the worked checked by playtesters when a navmesh is "complete" before a merge occurs. I can figure out a repository if you need, i know you are busy. 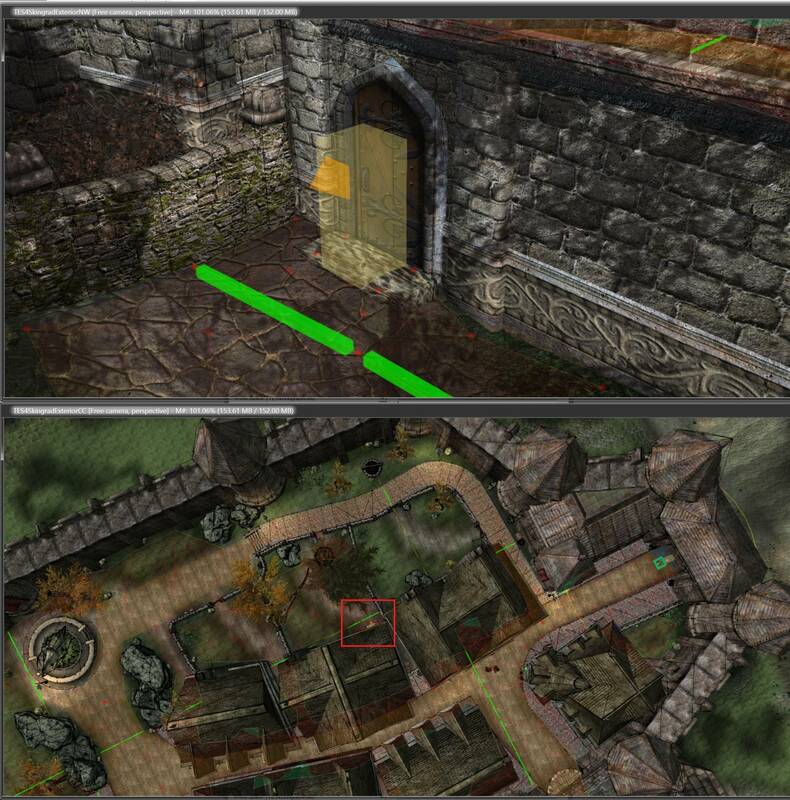 Bruma had already been completed by Rovan and we had a few guys work on navmesh in the past. I have 3 new guys who also want to navmesh so we should not have any problems finding them a spot on here somewhere. Previously done Skingrad and Chorrol need a quick check to see if everything is in order before writing them off as complete. I meant to get this part organized earlier but college got in the way, thanks for taking the initiative Devolved and EGKnight. Oh and a link how to get the stripped Skyrim.esm if any of you still needs that. Awesomeness Rebelize. I suppose the guys you have in mind can just take a look at the map above and reply on this thread with the area they want. Do you need to check Skingrad and Chorrol or would you like someone else to do that? I guess I posted before you edited, there was no pic. I see now. Keep up the good job guys on this. Seeing all of this navmeshing work getting done warms the cockles of my heart! Yeah I'll be sure to send them by here. I want to check those eventually but I need to focus on my papers and finals for now so that wont be till late January. If anyone wants to take a look at it they are free to do so, the sooner the better in the case that it needs fixing ^^ If not I can let one of the new guys take a look at it or do it myself as soon as I got some spare time. @rebelzize i'll personally leave it then. There seems to be more than enough work to do :) Good luck with the study. The Bruma navmesh is done really quite well. I spent some time checked interiors and they all seemed to work perfectly fine. The outdoor navmesh is auto-generated? It seems to work quite well, I'm assuming you're auto-generating it and then correcting any mistakes by hand? A lot of progress has been made quite quickly. You should also make the videos public, might attract some interest in navmeshing for Skyblivion. Very nice and fast work so far! Keep it up. .01 I hope to have done mid january. Each iteration i'll submit to you guys so people can use. I have sort-of hogged all of tes4tamriel at the moment, i'll get in contact with EGKnight about his leyawiin area. I'm thinking that after .02 the claims could be open for all the fixing and tweaking. The main thing would be to have something working nicely for the .03 release when you guys are looking at doing it. I think my videos are a bit crap. Maybe you add some to your channel yazza2014 after I submit the 0.01? It seems with the number of views your channel has become the de facto standard. Please don't forget about marking "water" and "cover" triangles too. Also keep in mind that default aspen trees will be replaced later with new models that will have larger stumps, so leave more unnavmeshed space around trees. Is there anyway I can help with nav-meshs? Not sure if there is a formal process of which you have to do before applying. Maybe try PM Devolved, he can assign you an area. Any more progress on navmeshing Cyrodiil world space? I want help with navmesh. I want help team with navmesh. What should i do? I installed skyblivion.esm but CK didn't load worldspace with old NIF warning. Is this master file what i should use for development? Here are some work in progress files for archival. Thanks. Took a quick look in TES5Edit and a lot of cells have like 10+ navmeshes, I assume they are all just autogenerated? Don't know how much left for tes4tamriel worldspace, but 20MB plugin is so bloated and frustrating If we add up all interiors, SI worldspace and 10+ other worldspaces (Oblivion realms, Pale Pass, etc. ), this could easily become something like 70MB or even more. I'm just afraid CK won't be able to handle that when merged since it'll result in 320MB esm file. That's why navmeshes must be manually optimized to contain minimum number triangles, no navmesh isles if possible to minimize the number of NAVM records and reduce total size. That was my third attempt, and I was going to look at optimising by hand. But I have thought along the way that I might as well just do it by hand. The time spent on the auto-gen by region could have been put into manually running navmesh cell-by-cell and fixing/optimising. Could I be possible to keep the navmesh as a seperate .esm? I have done about 1/3 of Claim 10 and it has only come to 70k. Doing each cell manually might be the way to go. If we can fit under 300MB in total, we can probably merge. Maybe some more. That magic 320MB threshold I mentioned is based on my experience with Skywind conversion. It's initial size was 70MB and 250MB for vanilla Skyrim.esm, at that point CK was running out of memory. Surely navmeshes are different kind of data and may or not directly contribute to the CK limit, who knows. I'm just trying to avoid risks. Keeping navmeshes separate is definitely possible, it just adds another layer of complexion for future Oblivion mods conversion (if we ever reach that point). I'm trying to navmesh the exterior of Skingrad, and I've run into an issue with an invisible wall that I can't navmesh past. Anyone else have this issue? Apparently it's the boundry between cells. Also, I've finished the interiors that Grimweeder mentioned were partially done. I've sent you a PM with the issue you are facing which is related to exterior worldspace borders, I read this thread after your mail. Good work yazza2014 from what I saw in your picture. @DarkMark do you have any mods you have created or projects that you have contributed to? @zilav the exteriors are going to be done semi-manually from now on. The file sizes are much smaller in the end and better done as well. This will take some time but it's certainly doable. Here's my progress on Skingrad, I've finished the preferred pathing, next I'll finish the rest of the navmesh. I'm sure some areas could have less triangles, but I don't want to mess around with it now that pathing works fine. Also, I'm not sure if you're aware, but being in Skingrad in-game has bad performance, I'm even getting less than 30 FPS in some areas. This is on a high end PC, and even without an ENB. What causes this issue? Loading of too many cells? I can record a video if you want, to show off both navmesh and performance issues. Anyone here care to explain this issue? I have a door that won't use a triangle for an enter/exit triangle. Every other door works fine. Could someone here try and fix it when I'm done with the navmesh? I've tried using more triangles, less but larger ones. Didn't mark one as enter/exit. EDIT: Fixed the issue, lowered the door marker. Hard to tell. Maybe some issues with meshes, you can try to rename mesh folders one by one and check in game (clutter, signs, trees, etc). I don't remember having FPS issues in Skingrad, only outside Anvil and in Great Forset, and the reason is grass (toggling it with tg in console solves FPS there for me). Here's a video of the Skingrad navmesh and perforance issues. This only mod is QTP3. 1) Disable trees replacement plugin. Some of gkb tree meshes it uses are very heavy, I'm using 3amt tree models myself right now. 2) All my game ini settings are default (like shadow parameters) since I test plugins only on vanilla game. Reset them. I'll try disabling the trees plugin, all my ini settings are on default. Currently on Ultra settings. I'll let you know how it performs. PC specs: GTX G1 970, i5 4690k and 16 GB DDR3. Most likely a software issue. It's an early version, I'm not complaining. Everyone else I've asked has performance issues in this city. EDIT: It performs much better with the tree plugin disabled, I get around 40-60 FPS now. I'm not going to pretend there's no performance loss, but it's much better. What is it about the tree plugin that causes a performance loss? There's not many trees in Skingrad. @Zilav i've had some issues with the load doors as well, are OK with us moving those markers slightly when needed? Will they affect anything script-wise? I assume the scripts link to the object references or something so it shouldn't matter but could you confirm? @Zilav i've started navmeshing the exterior again, it's working much better now when not using the region auto-gen. The tests i've run so far have been going well, the AI for the mobs seems to be working now as well. What are the issues with markers exactly? Just letting everyone know on my progress of Skingrad. There's 19 interior cells left to navmesh. Sometimes door markers aren't low enough to make the CK associate the marker with a navmesh triangle, slightly lowering markers fixes the issue. Question for Zilav, is there a way to finalise all Skingrad navmesh at once? Because Grimweeder navmeshed a lot of cells, but didn't finalise them. Would take a while to do it manually and individually. I never worked with navmeshes in CK, so no idea at all. I don't personally know of a way to finalize different interior spaces in a batch. I know you can do it with exteriors via region.